pip | David Miller – Keswick, Cumbria. The exhibition, by Braithwaite Art Group (BAG), features examples of work from the group’s popular life model sessions. However, the main focus of the exhibition is on works that portray people in contexts other than in the life studio. There are 21 of these widely ranging 2D and 3D original works by 11 artists. 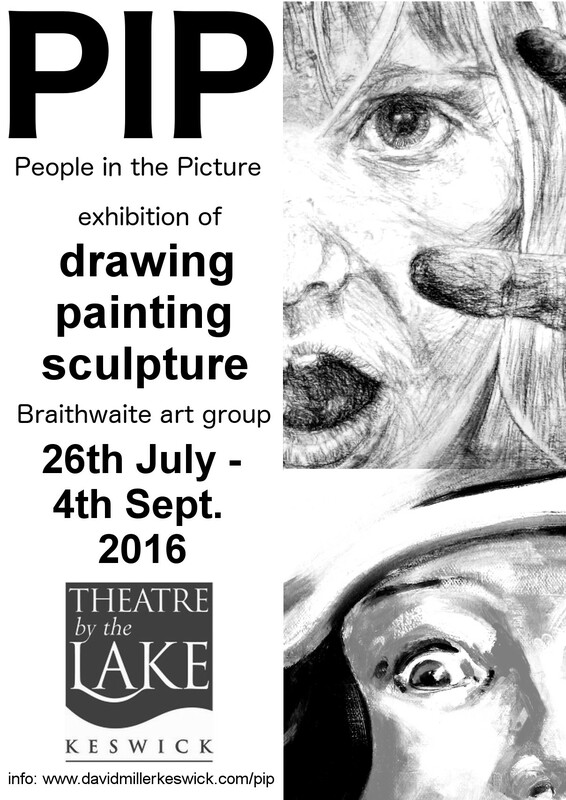 PIP is on at the Theatre by the Lake from 26th July until 4th September 2016. The theatre is open 7 days a week from 9:30am until the end of evening performances, which are typically around 10pm. Steve Avons, Celia Burbush, Michelle Castles, Martin Copp, Pat Dyson, Gina Farncombe, Jane Hanson, Ann Hughes, Elli Logan, Pam Lupton, David Miller, Gill Scrivens, Bridget Stanley, Pat Walker.